Picked this one up on GunBroker for $234 shipped. Great shooter - finish very good - stock not messed with. Got the windage dialed in. Really taking a liking to this rifle. 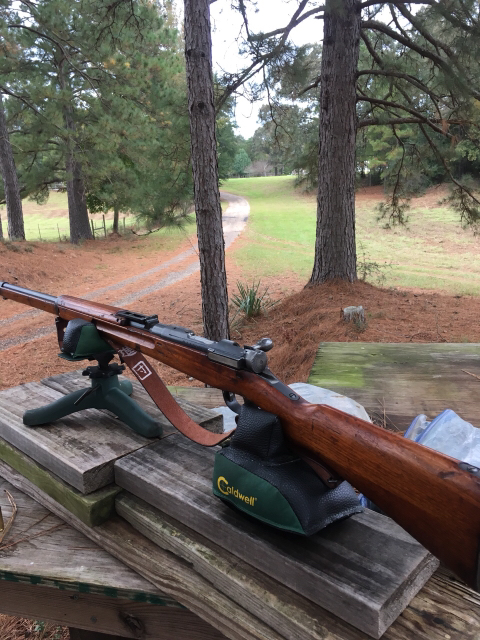 Waited much to long before picking up a Japanese Rifle! looks like a gorgeous stock and seems to shoot very well. Its a shame that the mum is gone. even one with the circle stamps is preferable to that botch job. At least in my opinion. What loads were you shooting out of it? factory or handloads? lamontagne0527 wrote: looks like a gorgeous stock and seems to shoot very well. Its a shame that the mum is gone. even one with the circle stamps is preferable to that botch job. At least in my opinion. I have its twin, same series. I've used both 140 gr. and 120 gr. bullets with 3031 powder. The bolt does not match on mine. Cleaning rod and sling are repros I think. 4064 is my go to powder for all my vintage military rifles. Varget is also very good. I've got about 6 pounds of 4064 (im trying to get a nice supply of it) and about 2 pounds of varget, they are both versatile powders so im trying to get a nice amount before i start using them. As you probably know, Varget is very similar to 4064. I just bought from nrobertb,the older brother to yours. Same series but 15,000 serial number range. ( 1936 early '37?) not sure of the exact year. I lucked out and the chamber is not as over-sized as the once fired brass I was given . My test firing only shows a very slight bulge. I'm going to do a range test at 500 yards this Sunday if the weather permits,200 yards if it is nasty out. I've been wanting to do a steel plate penetration test with a 6.5 Jap for years now. I started with the 6.5 Dutch and was so impressed with it almost going through a 1" thick steel plate at 200 yards I tried the other 6.5 rifles in my collection as well and was amazed how hard and deep they penetrate cold rolled steel. I would think the 6.5 Jap firing the same weight and type bullet will also do very well. As you may know the over stabilized and penetration capabilities of the 6.5 bullets were their downfall. They just went through the enemy. Unless bone or an organ was hit,little damage was done. The Britts called a 6.5 Carcano wound an " inney outey"
As for the later spitzer bullet in the 6.5 Jap I can find no real info on wounds they produced. Have you slugged the bore yet? Which bullet diameter are you using? I'm writing an article or 6.5 rifle bores and what/which bullets perform the best accuracy at long range. 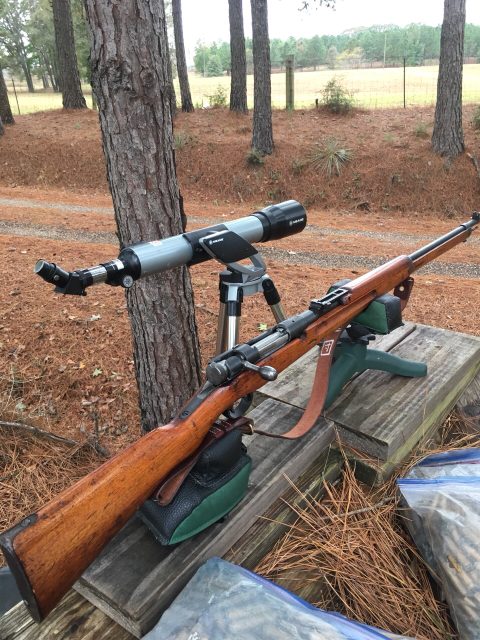 Nice rifle you got,good shooting too. I love the type38 rifles. That is a nice one that you have. Rapidrob wrote: I just bought from nrobertb,the older brother to yours. Same series but 15,000 serial number range. ( 1936 early '37?) not sure of the exact year. I’m using a .264 Speer 140 gr soft point. May try nosler cc at some point, but I’m actually hunting with it at present and thus needed the soft point.